I am currently having a love affair with blueberries. This is the time of year is when they are the best tasting, plumpest and most perfect. I could just eat them all day long. Justin and I just bought 2 cases to freeze for the winter, to help tide us over until next year! 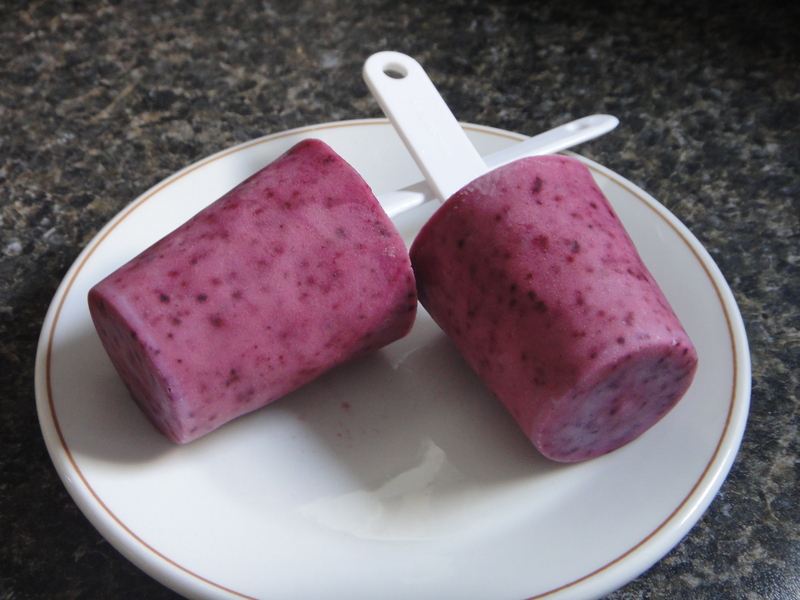 These blueberry coconut popsicles are also insanely addictive! There weren’t many ingredients, and the result was incredible! 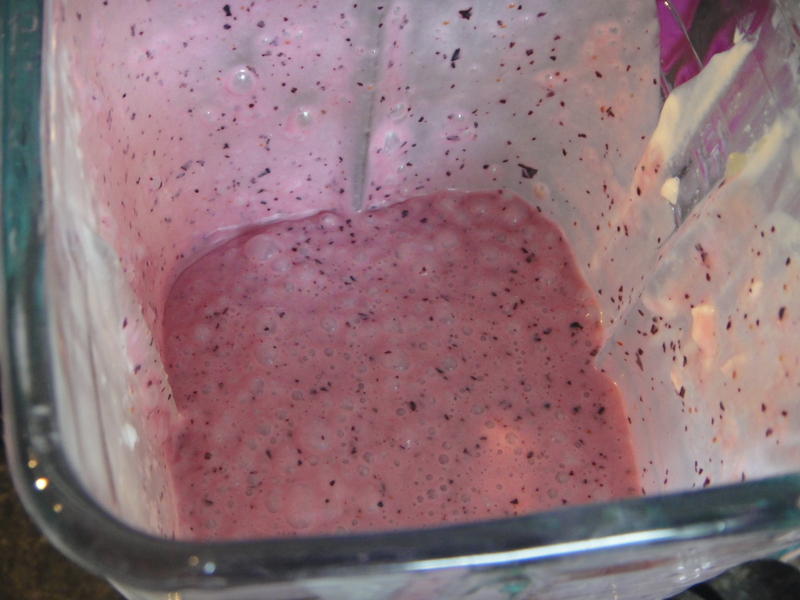 Take all the ingredients and blend it in the blender until nice and smooth. Look how creamy and delicious it is! Pop the mixture into your popsicle molds. Tada! 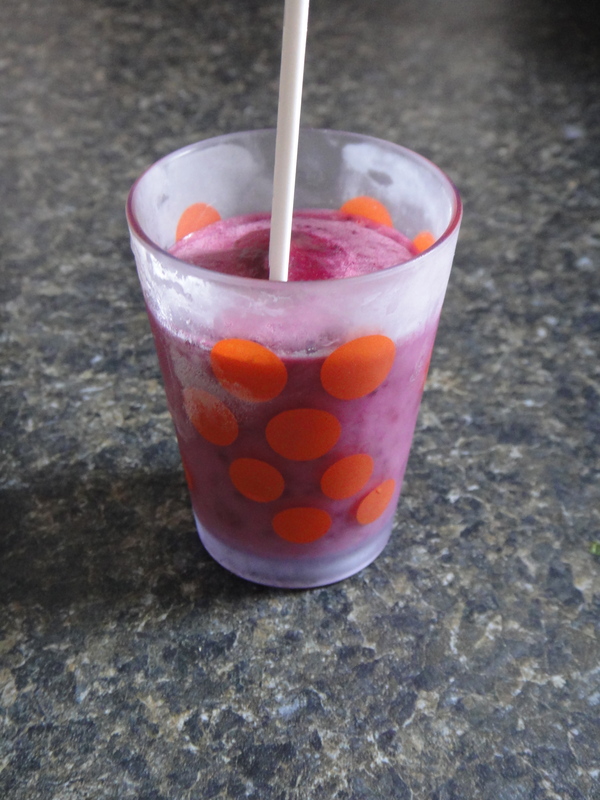 Tasty delicious blueberry yumminess to help beat the heat! 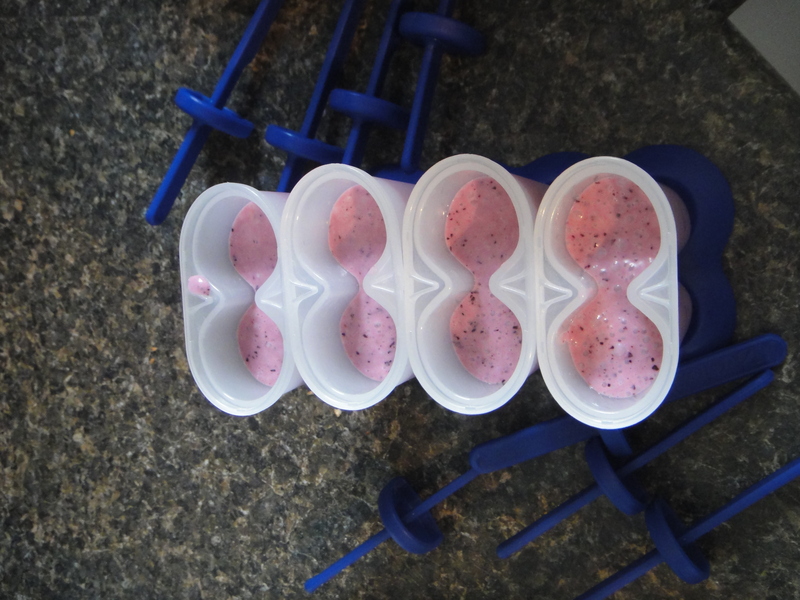 Blend everything together and add to popsicle molds. Allow to freeze for 30 minutes, insert popsicle sticks, and continue freezing until solid. Enjoy, a lot! 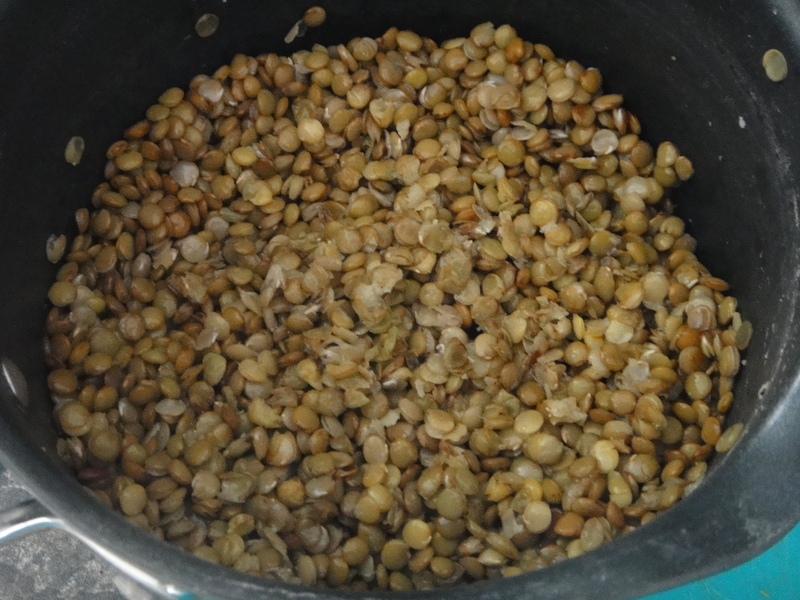 I love lentils. They are very hearty, and they fill you up very well. 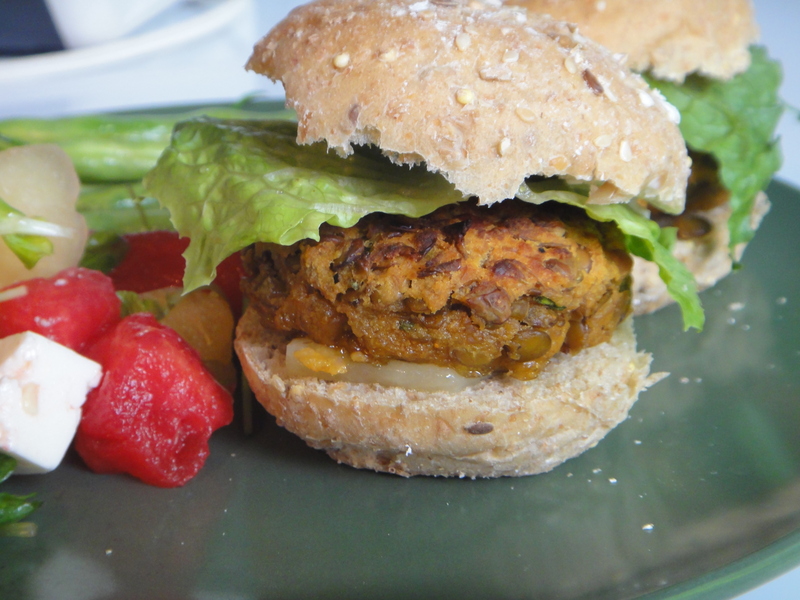 These smoky lentil burgers have a fantastically balanced flavour, that make you want to eat them all at once. 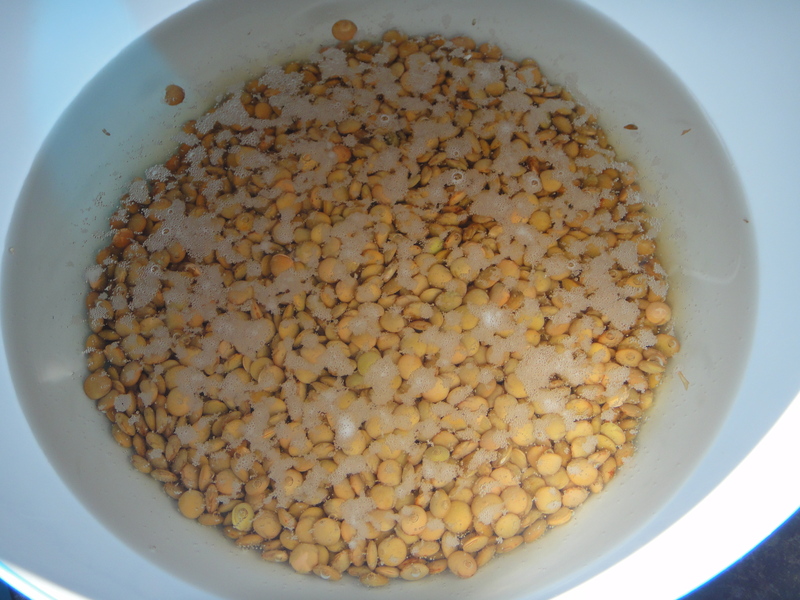 I soaked some lentils for 8 hrs. It was easy to do, just add water before work! Then, cook them down until nice and mushy. Add your spices and an egg. 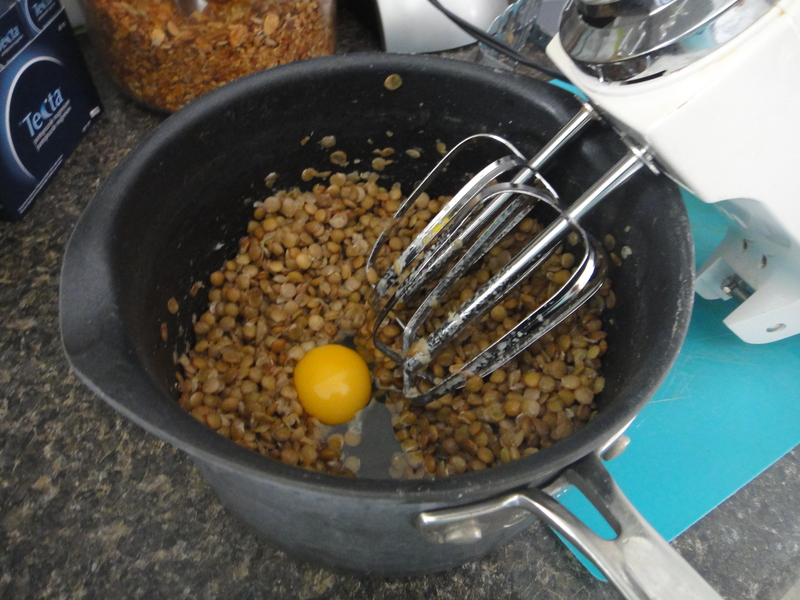 I tried to use a mixer to mush up the lentils a bit. Didn’t work so well. Use a potato masher or pastry cutter instead. 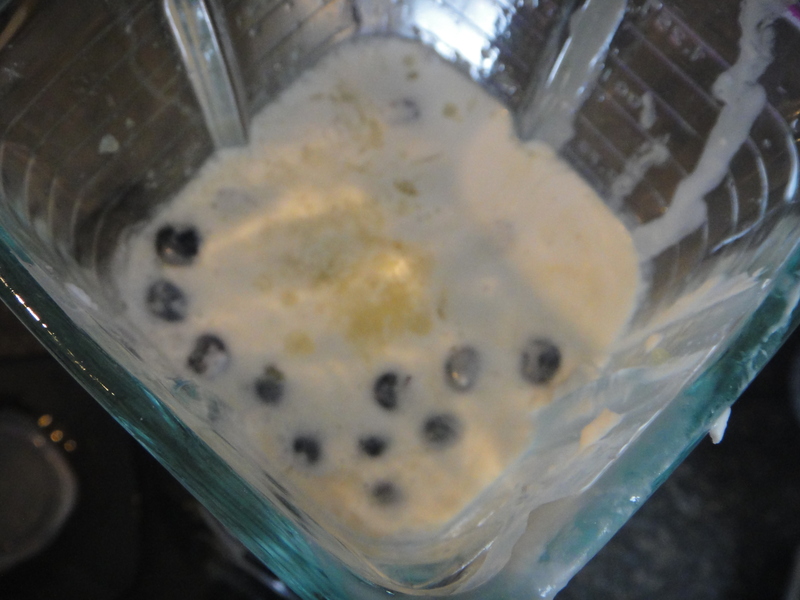 I added the other wet ingredients (greek yogurt and lemon juice). 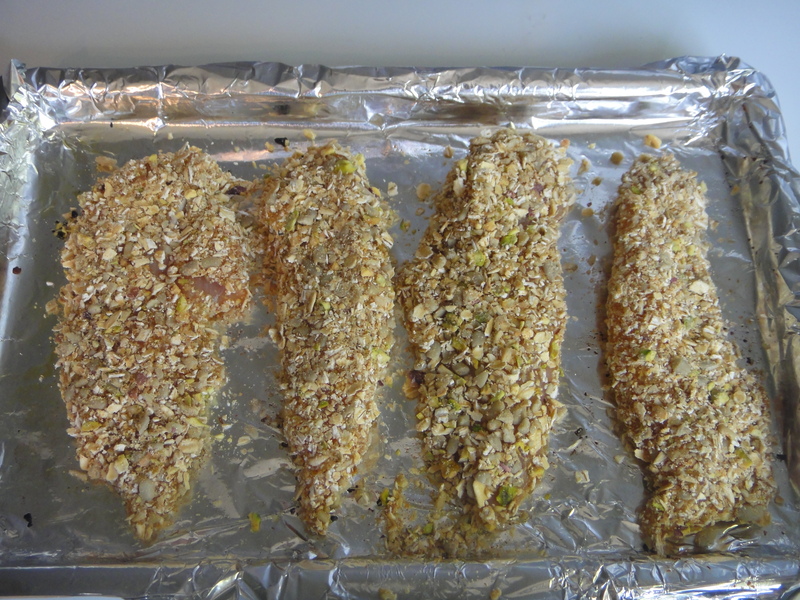 And then I added the dry seasoning and breadcrumbs. Here it is when it’s all mixed up. 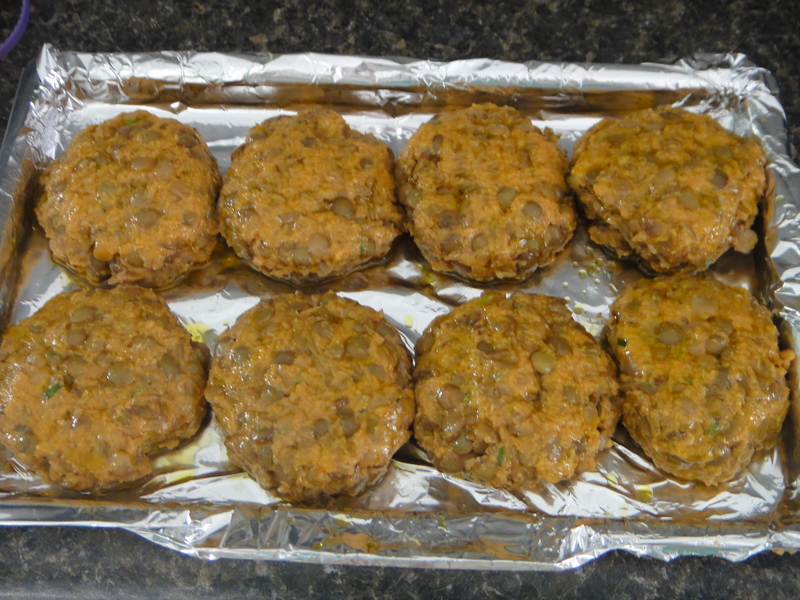 Form them into patties and brush with oil. Bake until crispy golden brown. Alongside a class of sangria on a beautiful summer’s evening. 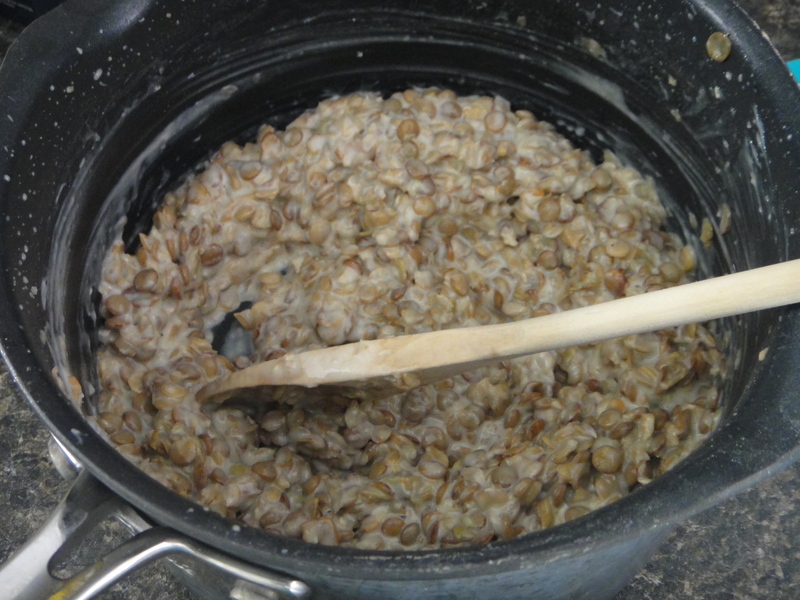 Begin by cooking down the lentils. Preheat oven to 450. Once cooked, cool and add your egg, yogurt and lemon juice and zest. Mush up the lentils a bit with a potato masher. 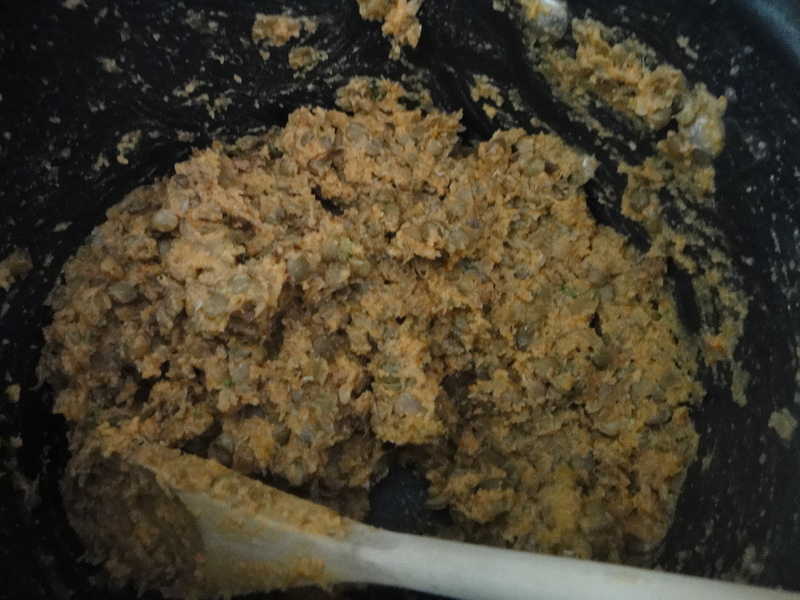 Add your seasoning and breadcumbs and stir thoroughly to combine. 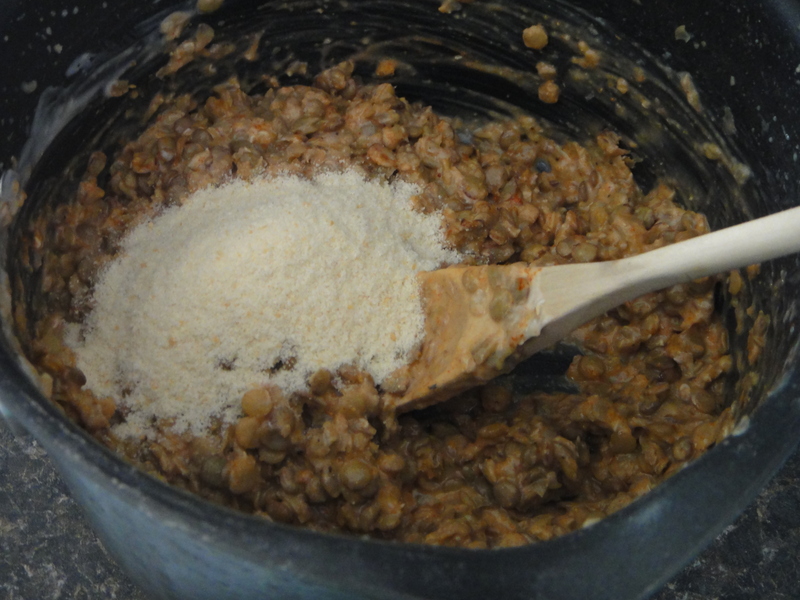 Form into patties and brush both sides with oil. Bake at 450 for 15-20 mins, until golden brown. 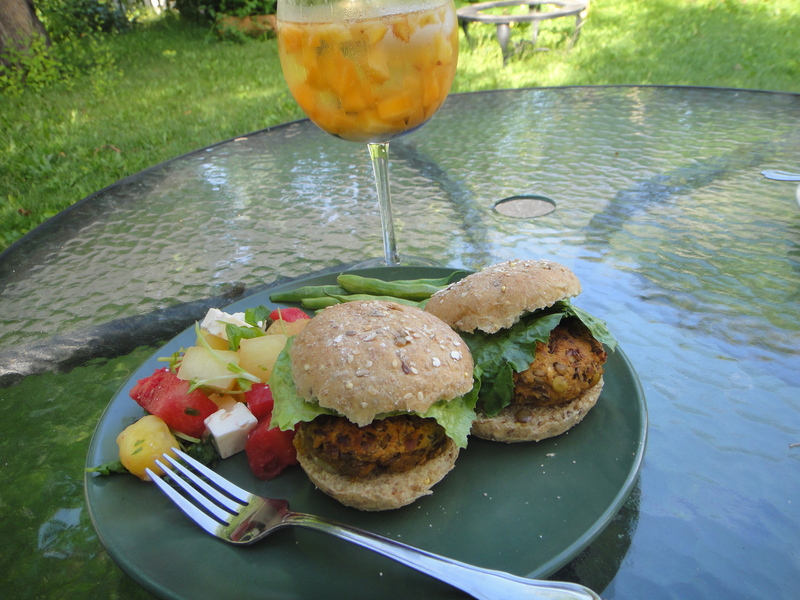 Serve on buns, or alone, slathered in aioli. Enjoy, a lot! Good morning! I apologize. I’ve been a little absent lately. There has been a lot happening over here; from completing our bathroom renos (we now have a brand new half bath on our 2nd floor – it’s wonderful! ), and starting a new job, life’s just been a little out of hand lately. That doesn’t mean I haven’t been cooking though. It just means I now need to catch up on my posts for you all. 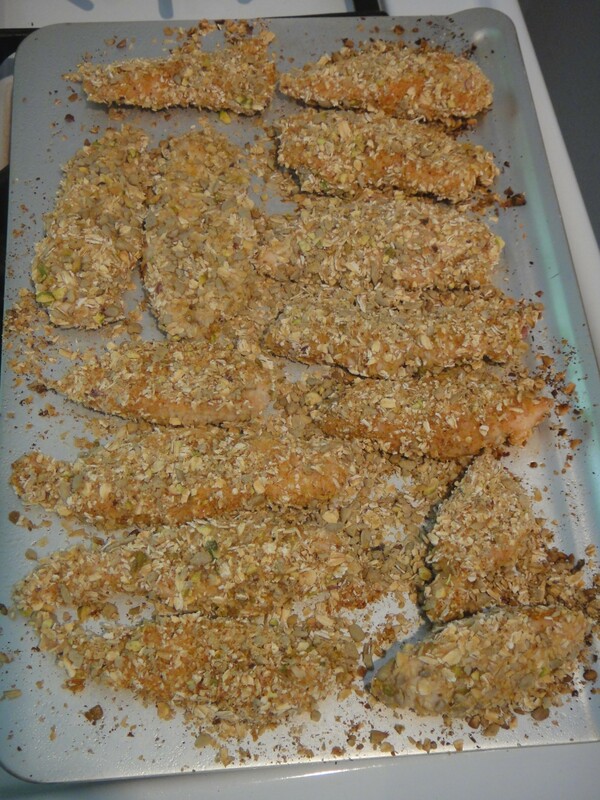 I made these chicken fingers the other day for a Whovian evening with my friend. We both chose our favourite episode of the Doctor, made a scrumptious dish, and spent the evening nerding out. 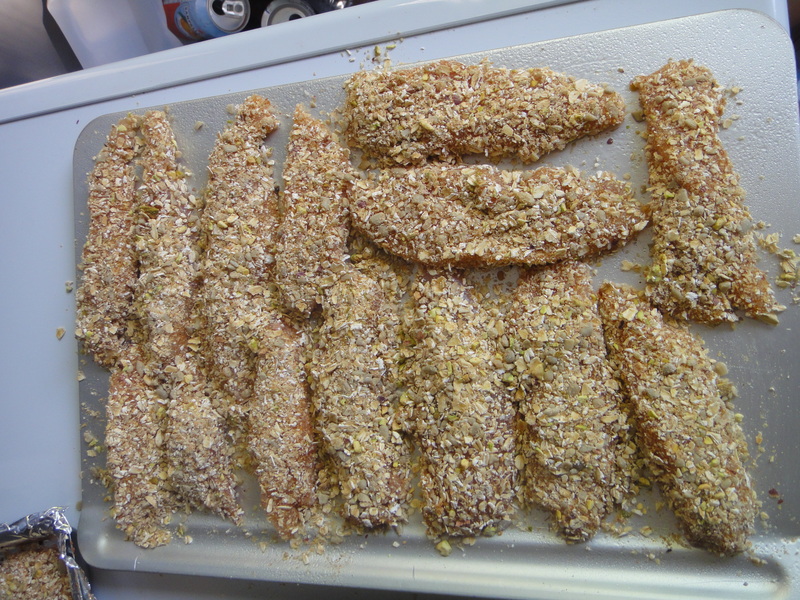 These chicken fingers turned out waaaaay better than I anticipated. 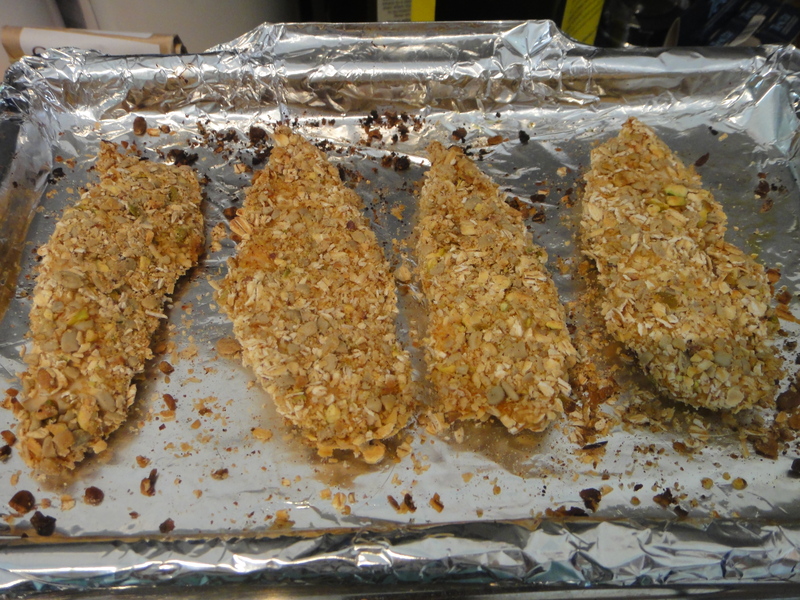 To coat the fingers, I used Gold Forest Grain’s traditional rolled oats. 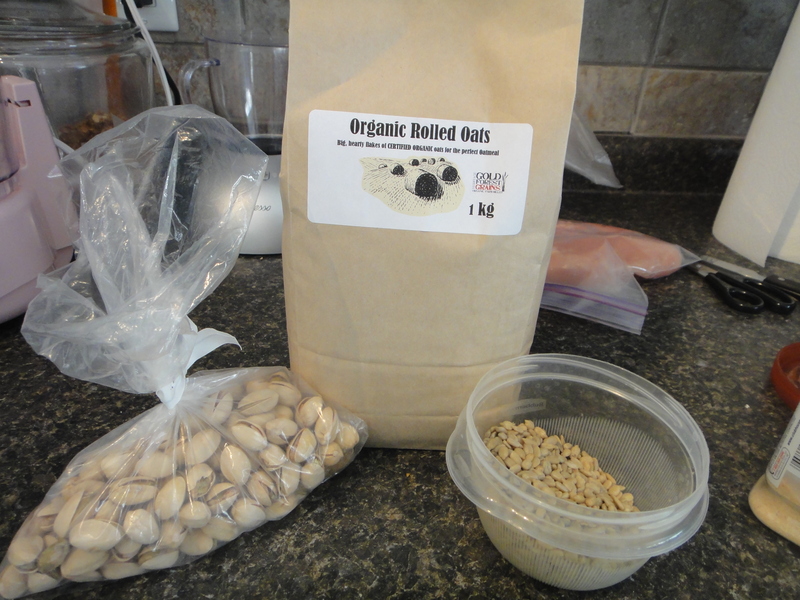 a handful of pistachios, and sunflower seeds. 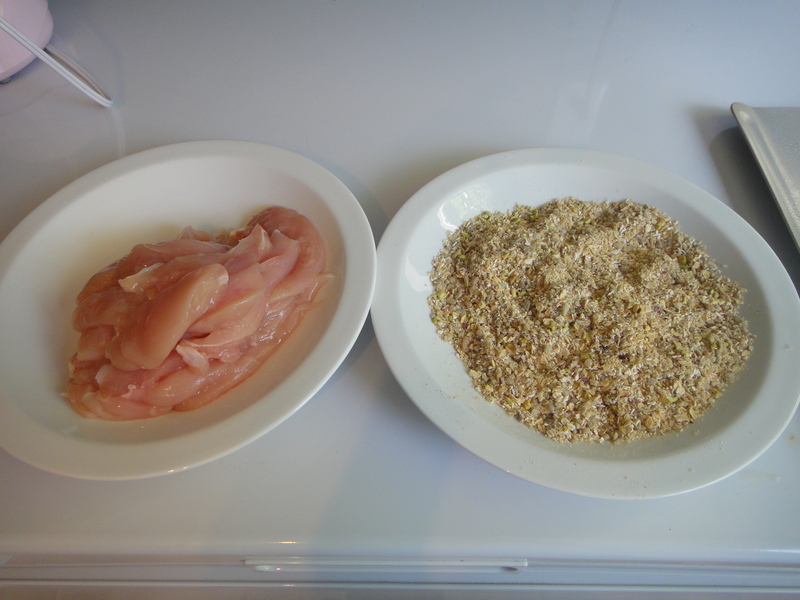 All ingredients I had on hand and just decided, on a whim, to stick in the food processor together to create a chicken finger breading mixture. Then came the spices. 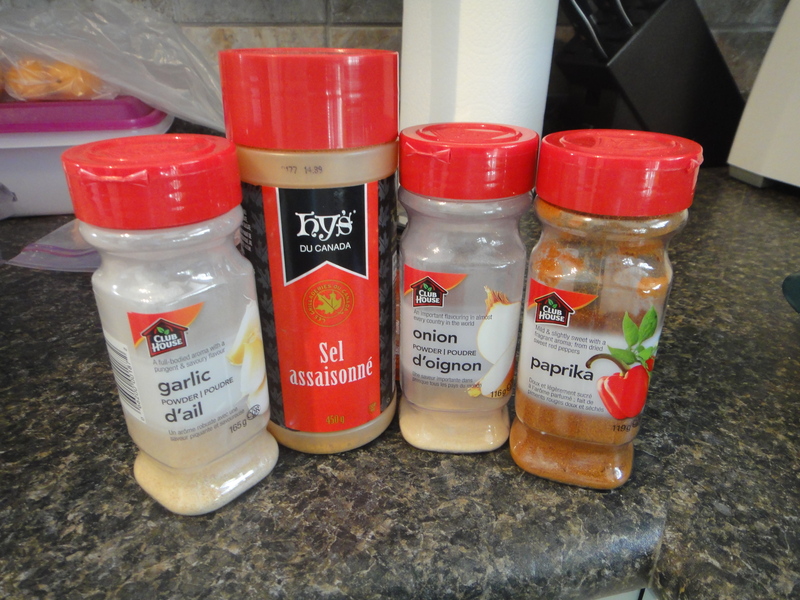 I used seasoning salt, garlic & onion powder and paprika. My staples. Hmm! I had let the chicken thaw overnight in the fridge, so it was still very moist when I cut it, not needing to do the extra step of having to coat the chicken in egg before breading the strips. If your chicken isn’t wet enough, I would recommend mixing up an egg and coating the chicken strips with it before breading the strips. The egg helps the crumbs bind with the chicken better. 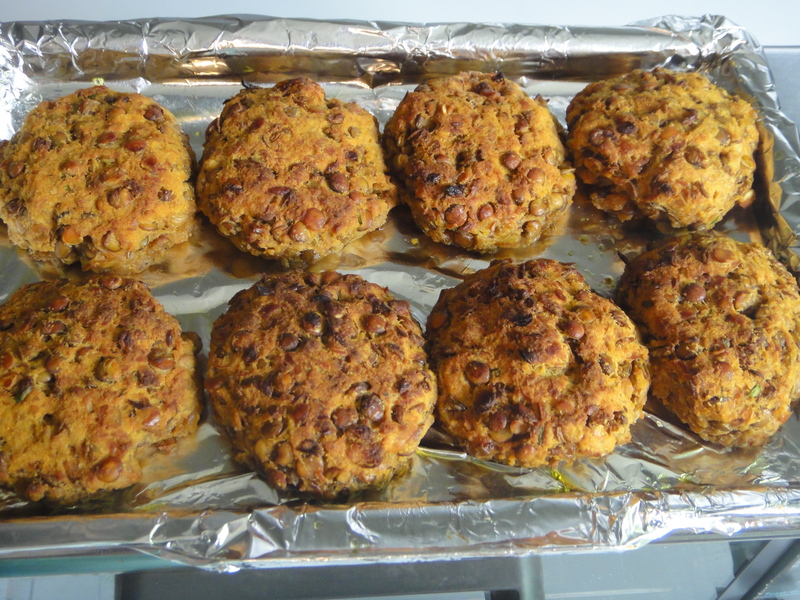 I doused the chicken in the breading mixture and placed it on a cookie sheet. My pan sadly wasn’t big enough, so I took out my mini one too. After about 20 mins at 475, the chicken fingers were delectably crispy and ready to be devoured. Here was the larger pan. I clearly used too much breading, but that’s ok. They still turned out delicious! The dipping sauce was one of the simplest and tastiest I’ve made to date. 3 ingredients. That’s it. 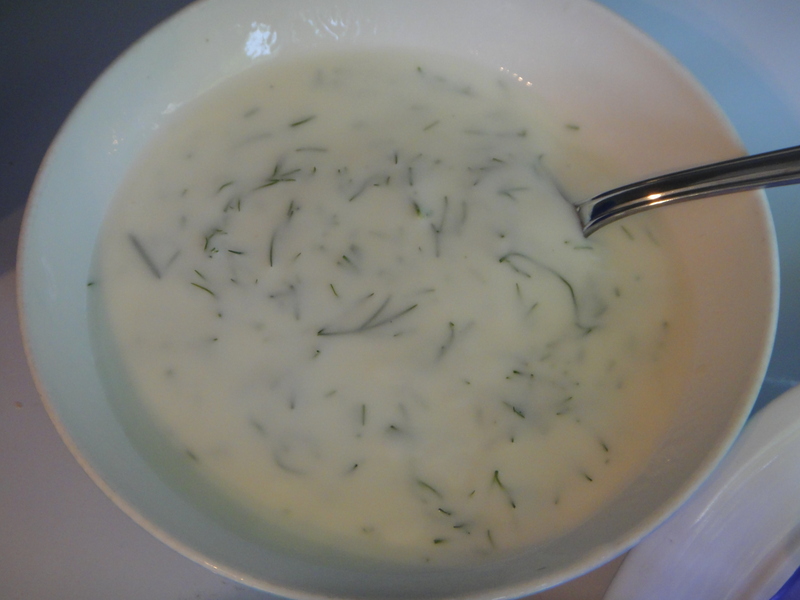 Yogurt, fresh dill, and lemon juice. Mix it all up and let it sit for a while to get the dill to seed out it’s awesomeness a little. 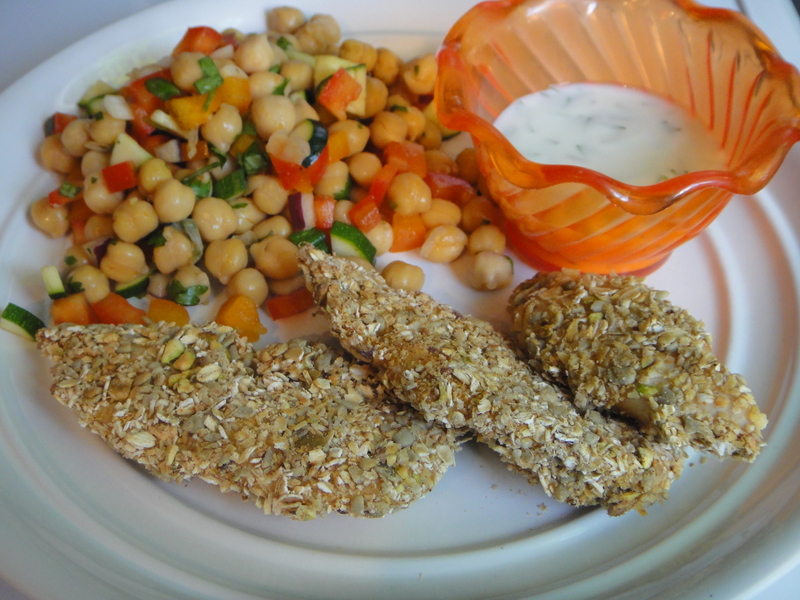 The flavours complimented the chicken fingers so well, we both paused the doctor and went back for seconds! *You can also make these on the BBQ if you do not want to heat up the house. (This is what I did.) follow all of the same steps, but take your cookie sheet outside and cook it on the BBQ instead. Don’t forget to turn the fingers so that they cook evenly.